The perfect puzzle for little hands and children who love vehicles. 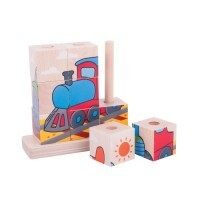 The chunky wooden blocks are an .. 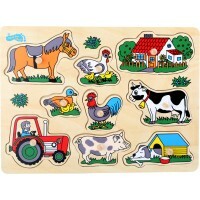 Wooden farm puzzle with pegs for little hands. Contains 9 pull out pieces. Suit ages 3+ Board size a.. 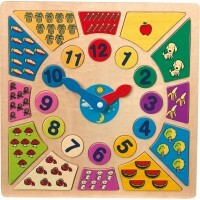 Wooden counting puzzle with clock with moving hands and removable numbers.The clock can be used as a.. 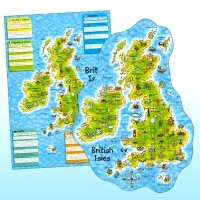 Explore countries and continents and discover local inhabitants and landmarks! 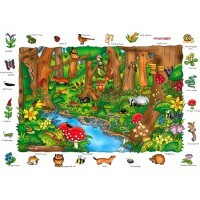 Includes giant poster..
A set of 8 brightly coloured animal puzzles in a box. 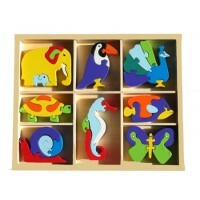 These educational wood puzzles are chunky an.. 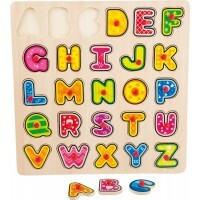 This educational wooden alphabet puzzle with matching pictures and words teaches letter recognition.. 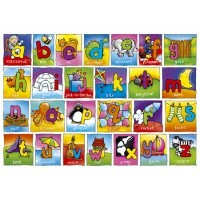 Bright colourful abc slot puzzle for toddlers. This alphabet puzzle has knobs to help remove the pie.. 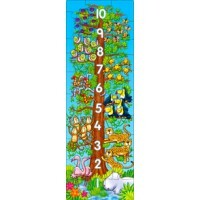 This large colourful puzzle allows young children to learn the numerals 1 to 10 by counting right up..
A bright and cheerful wooden number matching puzzle that will help young children with their numeric..
A fun puzzle to help young children learn numbers to twenty and counting. 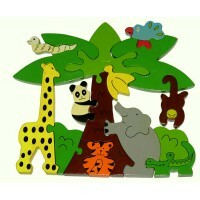 Match the picture cards wi..
A colourful and fun wooden jungle puzzle that will help young children with fine motor skills and ke.. 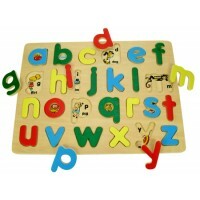 Learn the alphabet with this huge colourful floor puzzle. 26 pieces. 80 x 60.5cm.. 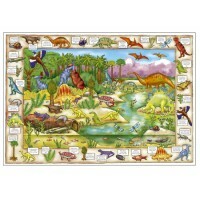 Discover the prehistoric world by looking for creatures and plants as you complete the puzzle. Inclu.. 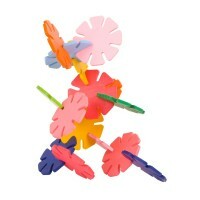 Wooden Daisy Fun is a set of stacking discs that can create infinite creative possibilities and capt.. 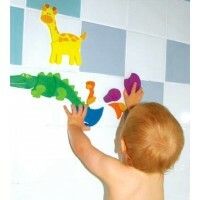 This bright detailed puzzle allows young children to learn about different places in the British Isl..
Five foam mix and match animal puzzles for play in the bath. Animals cling easily to damp tiles and .. Animal Puzzle: Where in The Wood? 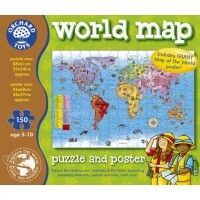 An exciting and unusual puzzle, which has been designed to inform and stimulate. When the puzzle has.. 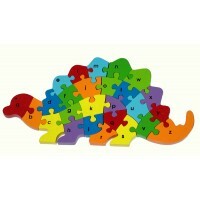 Wooden alphabet puzzle in the design of a colourful fun dinosaur. This abc puzzle will help young ch.. 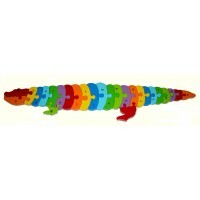 Wooden alphabet puzzle in the design of a colourful fun crocodile. This abc puzzle will help young c.. 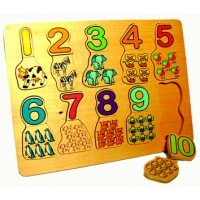 Wooden and educational puzzles for children and schools; ABC wooden puzzles, number puzzles, educational alphabet puzzles, nature puzzles and peg puzzles for toddlers and puzzles for children with special needs. 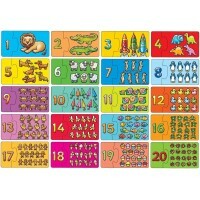 Puzzles are a perfect learning tool for helping children of all ages and abilities with fine motor skills. Puzzles are also beneficial for children with special needs, in particular dyspraxia and our wide range of puzzles are interesting in their diversity and very satisfying for children of all ages.